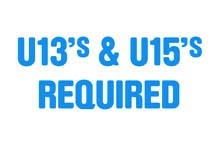 2017 Under 13’s & Under 15’s Players required. ©2015 Langwarrin Junior Football Club. All rights reserved. Website hosted by Factory87 Designs.